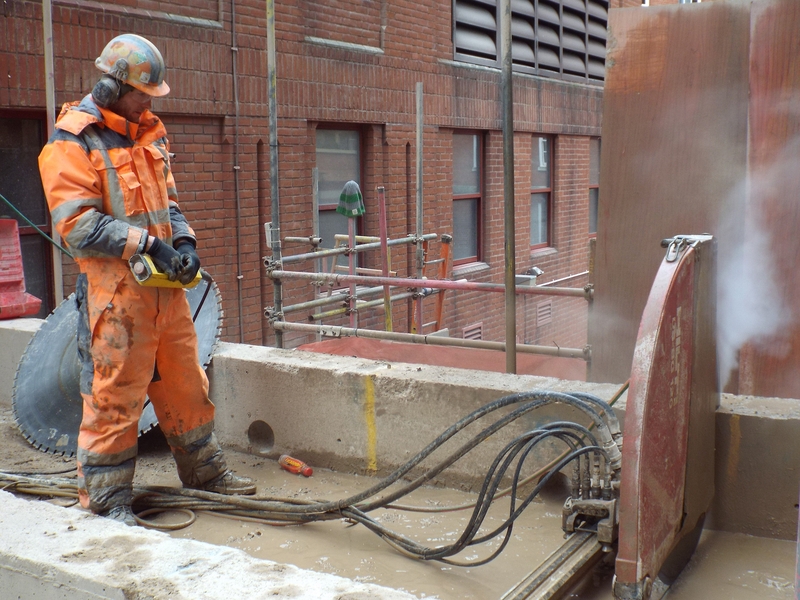 Diamond drilling specialist Gnat UK completed the removal of three crucial concrete walkways using relatively noiseless ‘cut and carve’ sawing in a fraction of the time and cost allocated to the original demolition contractor. Rougier Street provides not only important access to underground parking for insurance company Aviva offices, which line both sides of this narrow back road, but – even more crucially – is the vital service route to a prestigious five star hotel. 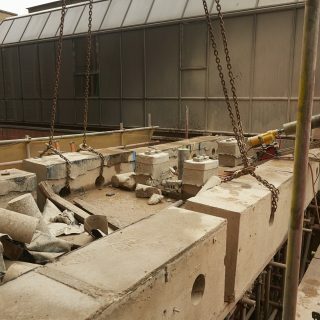 Above the road, and spanning between the office blocks on either side, sat three 6m long enclosed reinforced concrete walkways, each directly above the other at different heights and offering no longer needed pedestrian access between the offices. 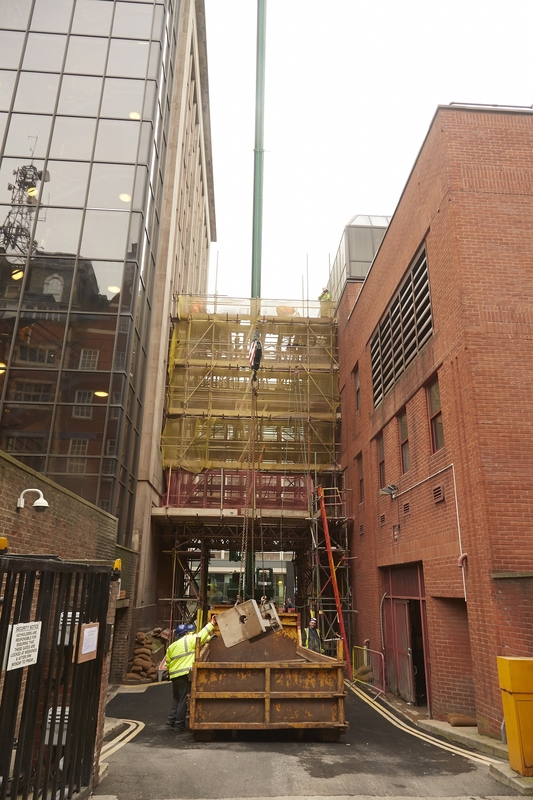 The challenge was to remove these 2.4m wide walkways leaving the road beneath with continuous vehicular access and by causing minimum disturbance to the 740 office workers at their desks, some just 1.5m from the demolition work. 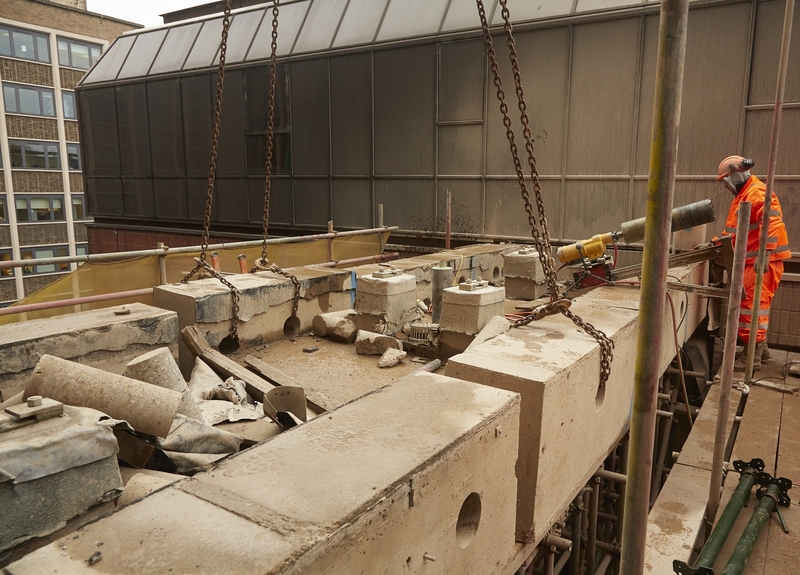 Removal by the originally appointed demolition contractor, using percussive jack hammers, lasted only a few hours before complaints from the office workers about excessive vibration and noise halted all work. 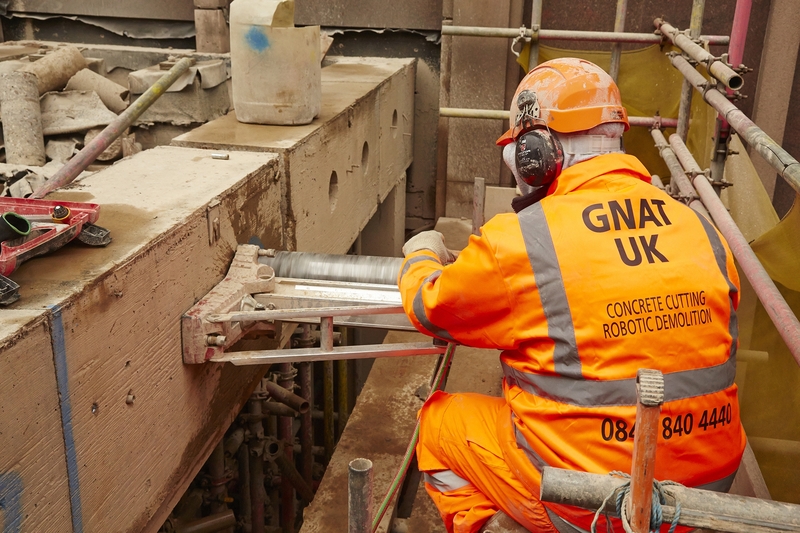 Gnat UK was asked to come up with an alternative solution and, working alongside scaffolding contractor SAY Scaffolding, plus structural engineer Bland and Swift, proposed a cutting plan to operate within an engineered three-tier scaffold. 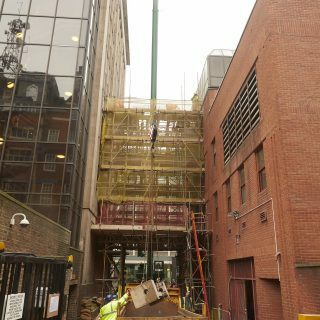 Access for road traffic was to be maintained by incorporating a portal frame arch into the scaffolding. 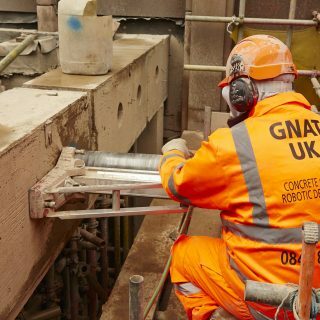 Vibration and noise levels were minimal compared to conventional demolition techniques and Gnat UK completed the contract four days inside the programmed four weeks. 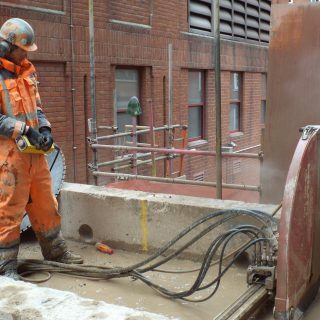 The original aborted demolition contract had been priced 40% higher and, with potential disturbance forcing a revised weekend-only work schedule, would have taken 26 weeks to complete. “It was a win-win solution all round,” says Mr. Hill.